Shark Week Styles that will make Jaws drop! As a kid, I spent almost every waking moment of the Summertime outside- likely splashing around in the water at St. Teresa or playing with other kids on the shore. But there was one week every July, that the floaties and sandcastle shovels were abandoned and traded in for around the clock TV watching. Shark Week was one of the most highly anticipated events of the Summer. This week (July 22 - July 29) marks the 30th Anniversary of this Discovery Channel staple. Even though we're adults now and can no longer abandon all our responsibilities to watch shark shows around the clock, we can still celebrate the week in style inspired by the shark. Shark teeth have been as adornment since ancient times. Since sharks loose and grow new teeth often, these coastal treasures are more abundant than you may think! 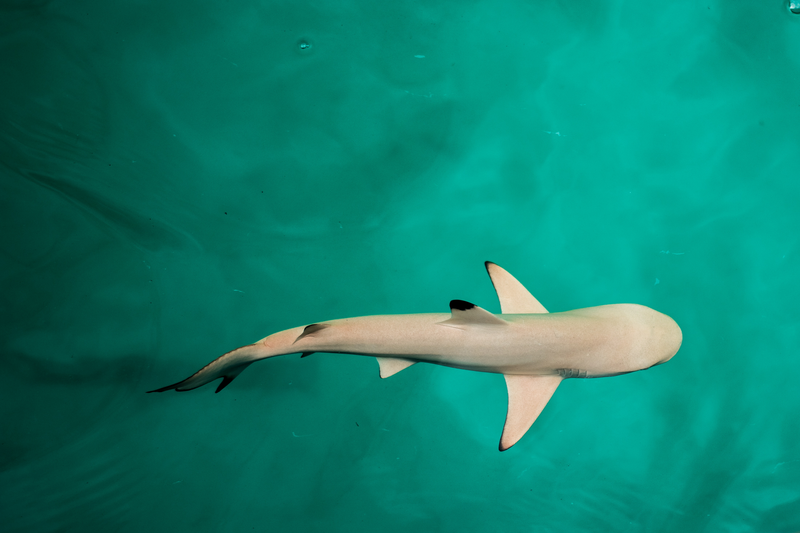 Shark teeth have a long history as a symbol of both bravery and also as protection from all the dangers of the sea- this is why you will frequently see surfers wearing shark teeth necklaces! 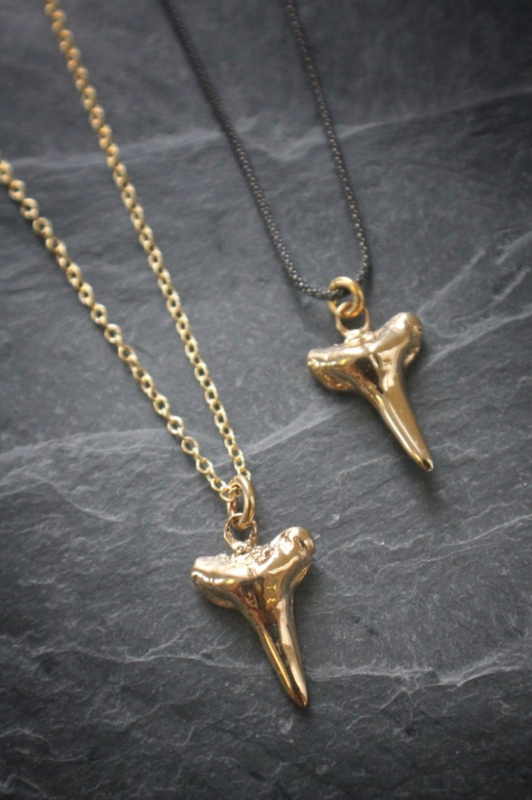 These pieces are all handcrafted utilizing gold-edged fossilized shark teeth or solid metal directly cast from found sharks teeth. Many of the teeth were given to me by neighbors in Charleston who would find teeth along the shorelines of the lowcountry. 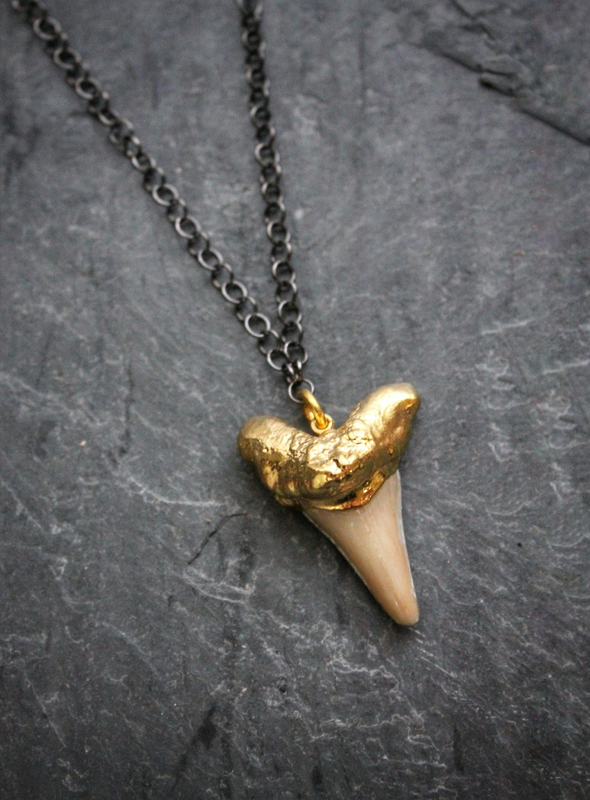 This fossilized shark tooth is edged in gold metal, which offers beautiful contrast against the blackened chain. The chain is sterling silver and is made in an 18 inch fit length. 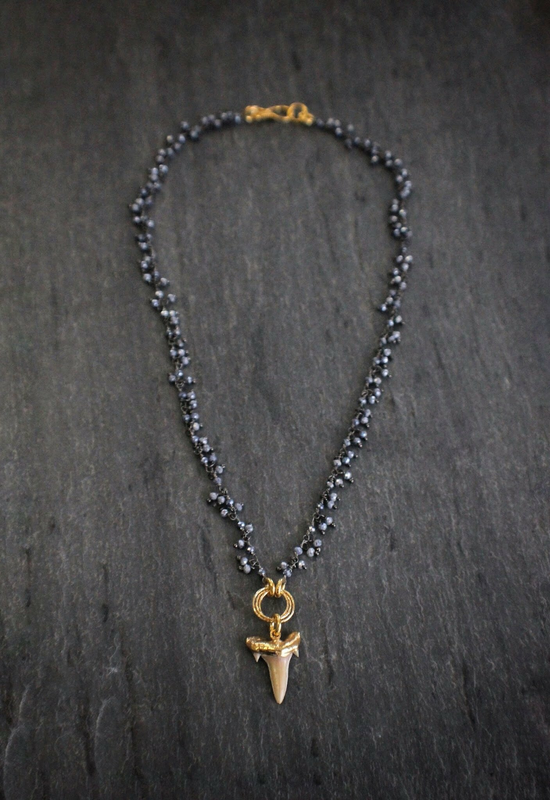 This necklace is the perfect natural & edgy touch to add to casual outfits. A gold accented sharks tooth hangs from a beautiful blackened silver corundrum fringe chain finished with a vermeil clasp. The fit length is just under 16 inches. This piece is great for everyday wear but also makes for the perfect night out outfit. 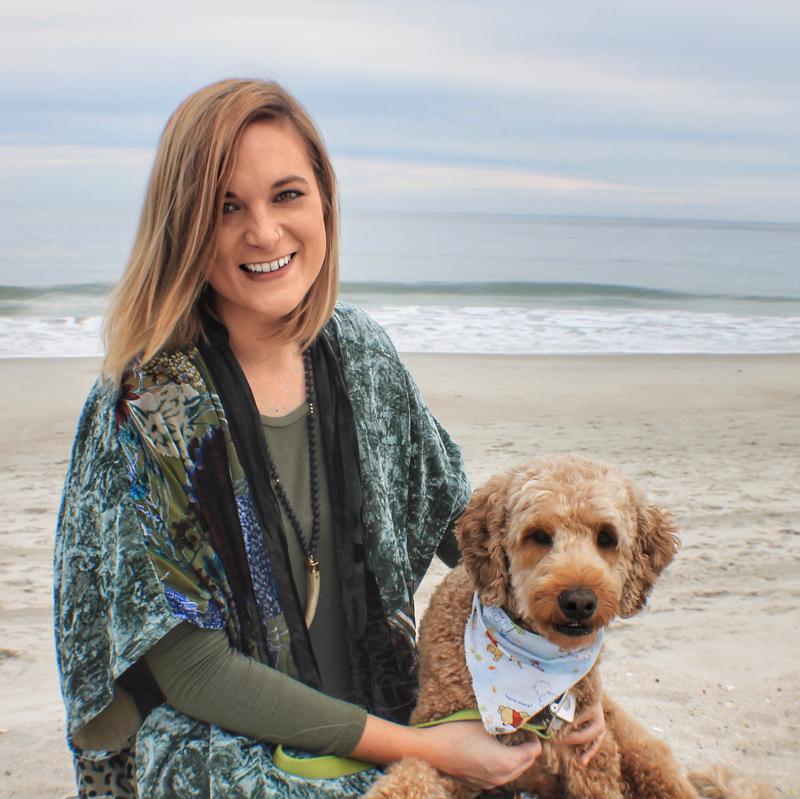 This necklace features a vermeil sharks tooth cast in sterling silver from a real tooth found in South Carolina's Lowcountry. This necklace is available with a blackened silver chain or a gold vermeil chain- each available in 16 or 18 inches. Add this necklace to any outfit and stack with other necklaces for a unique look. 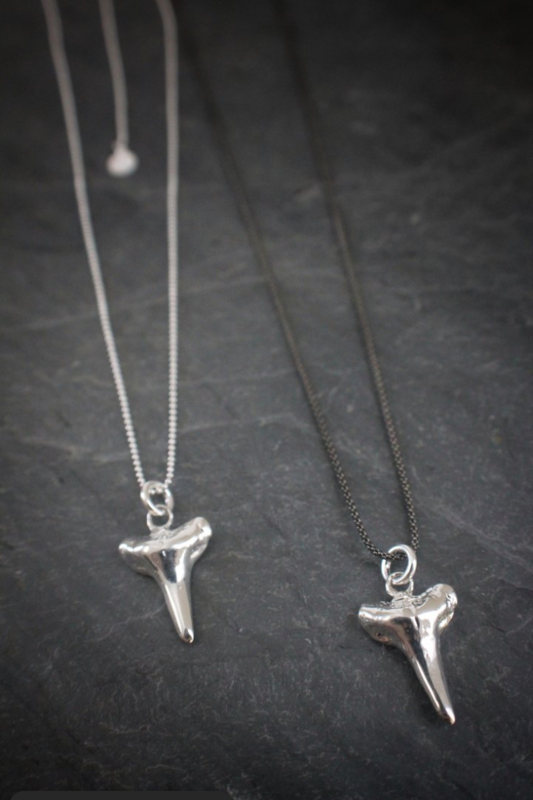 This solid sterling silver pendant is cast from a real sharks tooth found in South Carolina. This necklace is available in two finishes: a polished chain with a slider mechanism that allows you to wear this necklace at various lengths and also in a blackened version available in a 16 or 18 inch fit length.